A few months ago I shared 23 design books I’ve read and enjoyed. In a comment Aman asked if I could do the same for development books. This post would suggest the answer is yes. Recommending design books was easy. The information inside them is generally timeless. The principles of design are the same today as they were 100 years ago or 500 years ago. Development books are different. In many cases books I read just a few years ago are completely out of date today. As I was going through my bookshelves pulling out potential books I kept asking myself how relevant they still are. Some clearly were, some clearly weren’t, and some I’m not so sure. I tired to only choose books that could still be helpful, but please keep this in mind as you read through this post. The book cover images link to the the books at Amazon, which naturally has additional reviews. Consider this post one additional review to each of the books below. I find that where development books are concerned we all have personal tastes in what kind of books we learn best from. Some want books filled with more code. Some want books with more explanation. Some prefer a more visual book. With most development topics there are usually many books sitting on bookstore shelves than you can ever read. My best recommendation is to find a store with a decent selection and go in for an hour. Grab 3 or 4 books on the subject you’re interested in, find a comfy chair, and read the introduction to each. Then scan through some of the chapters. Pick one, go home, and read it. There are other publishers, but these make up the majority of my development books. One last point is that with some of these books I read them back to back or nearly so and they tend to blend together for me. It’s hard for me to recall exactly what I picked up from each as the books are sometimes similar. With the above general advice and thoughts in mind here are the books I pulled off my shelf that I found valuable. Each of the books in this section, while good, probably shows its age. I’d be lying if I told you this book was an entertaining read. It’s mainly a dry walk through of every html tag there is or rather was, since it covers html 4.01 and xhtml 1.0. 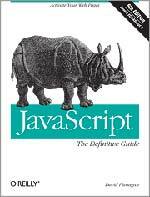 As web developers are moving to html5 why read this book? html5 includes everything that came before so the information in this book is still relevant. All of this information can be easily found online. At the same time if you read through it you’ll know html and you’ll have a reference book by your side. It’s the only html book I’ve ever read. Technically I only read the first book above, but I’ve glanced through the second and both are very similar. These were written when tables were still the primary method for web page layout and the book walked through several examples of a page coded with tables and converted it to css. If you still haven’t made the switch from tables to css these are great books. Even if you have made the switch I suspect there are still some good ideas for you. However how we typically develop layouts has changed some since these books were written. Another book by Eric Meyer, who pretty much taught me css through these books. This one is more a reference, though I found the introductory chapter extremely helpful in understanding how the cascade part of css works. It’s a great reference too and for the first year or so of my becoming a freelancer I carried it with me most everywhere. If I was working on a site this book was within arms reach. It is 10 years old now and predates css3. This is css2 stuff. Still valuable, but perhaps becoming a little outdated. 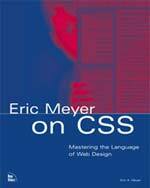 It’s unlikely anyone knows more about css than Eric Meyer so while his books above are a few years old they’re likely still worth reading for many. 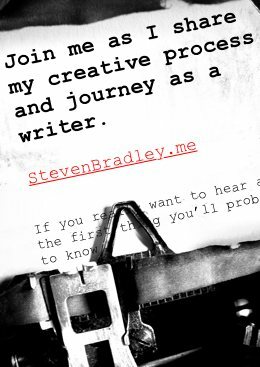 You can find links to Eric’s other books on his site. These books are also on the older side, however I think they’ll be more up-to-date than the html and css books above. Do understand that the language has evolved since I read any of these. It wasn’t there when I read the book, but it looks like there’s something now included about jQuery, though I assume it will be mainly an introduction to the library. I think you can safely read it as a beginner though. This was the first book about Ajax that I read. In fact I don’t think there were many Ajax books available when I first was looking. It covers the basics of Ajax, why you should use it and how to use it. It starts with the basics of connecting to the server and continues to build from there. This book also begins with an Ajax introduction like the one above. As its name implies it tends toward the back end more than the front end of Ajax development. It’s more about the model in the MVC pattern. It’s goal is to help you create some reusable code for your projects and it closes with some common programming patterns through the lens of Ajax. If memory serves of the 3 Ajax books listed in this section this was the easiest for me to get through. Speaking of patterns…. This book isn’t so much about design patterns like the singleton pattern or the observer pattern. The book above actually covers patterns like that more. The patterns here are more patterns for developing a specific technique such as talking to another server and working with JSON or building widgets for sliders and progress indicators. 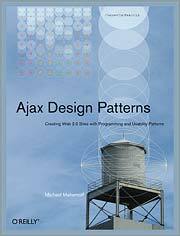 Like the others, this book also starts with an introduction to Ajax. All 3 of these books do blend a lot for me. I read all of them over a relative short time frame. If I remember I used each as a reference on and off at various times, though truth is I don’t do a lot of Ajax programming and so all 3 sat on my shelves more than on my lap. Each is a good book, just not books I needed all that often over the years. As with the books above these sometimes blend together for me. Rasmus Lerdorf wrote the PHP language so you have to figure the author knows what he’s talking about. This was also the first book I read about PHP and it gave me a good foundation for understanding the language. It starts with the basics and works it’s way through functions and strings, arrays and objects before getting into some specifics about the web and databases and other topics. It’s a typical introduction to a programming language book from O’Reilly and the author of the language. The goal of this book is to teach solid coding practices and to show how PHP can scale to building large web applications. Topics include object oriented php, error handling, unit testing, and caching. It also looks into databases, performance, and extensibility. That said it’s chapter on templates deals with Smarty, which I’m not sure gets used all that much today. This book starts with the basics, but it’s a very in-depth book about MySQL. It covers the details of the language and then talks about using MySQL in combination with a several programming languages, PHP, C, and Perl. The book’s closing section is all about MySQL administration. This book does cover things in-depth. It’s possibly more MySQL than you need, but if you really want to know the ins and outs of the language, it’s probably the book to get. 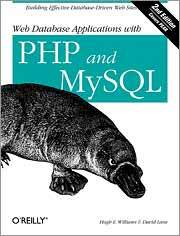 This book and the one below cover both PHP and MySQL as you can tell from their titles and both share a similar format. Both start with a walkthrough of PHP basics, followed by MySQL basics while talking about using them together. Web Database Applications with PHP and MySQL continues with a real world example building an ecommerce site for a wine store, while PHP and MySQL Web Development talks ecommerce more in the abstract. PHP and MySQL Web Development then goes into some more advanced topics, mainly on PHP. 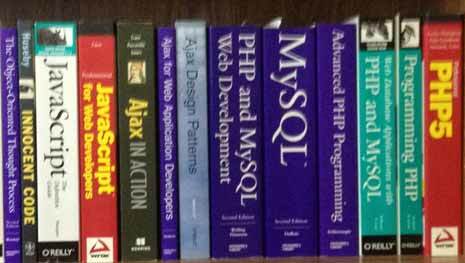 I think of all the books in this section PHP and MySQL Web Development is the one I got the most from. I’m not sure it’s because it’s the best book in the section or it happened to contain most everything I wanted in one place and it was the quickest for me to use as a reference. If you’re first learning PHP and MySQL I’d recommend one these last 2 books over the first 3 given they cover both . Either is probably enough to get you started and then you can supplement your knowledge with one of the other books or probably just searching online for additional information. Just what the book says. It looks at technical search engine optimization details and it uses PHP to implement the programming. It begins with some basic seo and then dives into things like URL rewriting and protecting against having duplicate content. Some other subjects it covers are rss feeds and social bookmarking, sitemaps, and even a little blackhat seo, though mostly from the perspective of not letting a blackhat take over your site. It continues with chapters on cloaking and geo-targeting, foreign language seo and even looks at building an ecommerce site. This is less a book about teaching you SEO than it is about solving some specific SEO problems with PHP, but you’ll learn some technical seo along the way. This is a shorter book, though a valuable one as it’s all about writing more secure code. It covers some basic exploits that might be used to break into a website and talks about what you can do to prevent it from happening. Topics include SQL injection and cross site scripting. There’s a chapter on validating user input and another on passwords. Definitely a useful book and one more web developers should read. It’s probably not the first book on this page you would buy, but if you’ve found it difficult to grasp object oriented concepts it’s a good book for helping you get past that difficulty and understand the basic concepts. I read a couple more design books recently and thought why not include them here. This is a classic. The book examines the relationship between art and psychology and is all about Gestalt theory. It looks at how we perceive space and balance, shapes and motion. It’s filled with all sorts of examples from children’s drawings to works of art and explores each in terms of how we perceive the work. It leans towards the science and theoretical so it’s not a quick read, but it’s packed with a lot of great and in-depth information. One of those books you’ll want to have on your shelf at one point or another. 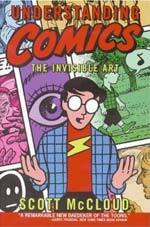 Quite the opposite read is this book by Scott McCloud. It’s written as a comic and talks about…comics. While it’s easy to read it covers a lot more than I ever expected it could. Scott looks at comics as an art form and really takes them apart and analyzes what makes them what they are and what makes them art. He talks about how comics work, how they’re composed, how we read and understand them. Overall it’s a really good look at visual language and there’s a lot of great information for designers. It’s probably the most enjoyable read of anything mentioned here. One of the reasons it’s harder for me to recommend development books is because I find myself reading more about development online. However some of what I’ve been getting online comes in the form of eBooks and much from a single source. They’re written as introductions to a topic and can generally be finished in a couple of hours. The author’s are often the first name you think of in regards to the topic covered. Each will give you more than enough information to dive into the topic they cover. None are meant as advanced information on their subject, but they don’t need to be. For the price of some of the individual books above you can get all or nearly all of these books. One other eBook, that also offers a paperback version is Aaron Gustafson’s Adaptive Web Design. Taken together this and the books above are really showing the way forward where web design and development is concerned. All are quick reads written in an easy to understand and practical way and I find myself referring to them often. As with the design books I recommended, there’s a lot here and I wouldn’t expect or even recommend you rush out and purchase them all. Again bear in mind that development books can become outdated rather quickly. Technology changes much faster than foundational principals. I would guess many of you don’t really need the books on html and css above, unless you’d like to have a reference on your shelves. The books listed are some that I purchased and learned from, but there were many more equally good books that never made it home with me. I typically sought out books by the same publishers and so there’s a large amount of O’Reilly, Developers Library, and Wrox books listed above. The eBooks on the other hand are all fairly new and up-to-date. One extra nicety is they can be read on an iPad, Kindle, Nook, or any other eReading device. They also come with a PDF to easily read them on your laptop of desktop. Have you read any of the above? If so what did you think? Do you have any additional books to recommend? Hey Steven, thanks for another great list of books, they are a lot 😉 just like the list on design books. I’ve read quite few of these, others are on my “to-read” list. There are some books that I never heard of before, will definitely check them out. P.S. and hey, thanks for the mention in the post. I’m glad you liked the list Aman. I hope I didn’t keep you waiting too long for it. I’m really glad you enjoyed my book. Thanks for reading! Aaron thanks for dropping by and thank you for a great book. I hope I’ve convinced others to read it as well. I really like the whole philosophy behind progressive enhancement and I’ll probably write some posts about it in the future using your book as a guide. Glad to share Andy. I hope some of these books help in your learning. I’m not really sure if there is an alternative. I don’t think anyone else wrote about the same topics in the same way as Arnheim. I couldn’t find Arnheim Book anywhere, there is no ebook and this book is not being published in my country. Please help me with it!! I don’t think there is an ebook. I found it at Amazon. The link is to the book at Amazon.in.